When you finally get around to that trek through the Cairngorms you promised yourself — stopping at all the best pubs on the way — you might consider hauling your kit in the Purdey Back Pack and Blanket Carrier. Sherpas are thin on the ground in the Scottish highlands. As it's midge season, you might also consider delaying until the hideous things are done with their biting for the year. 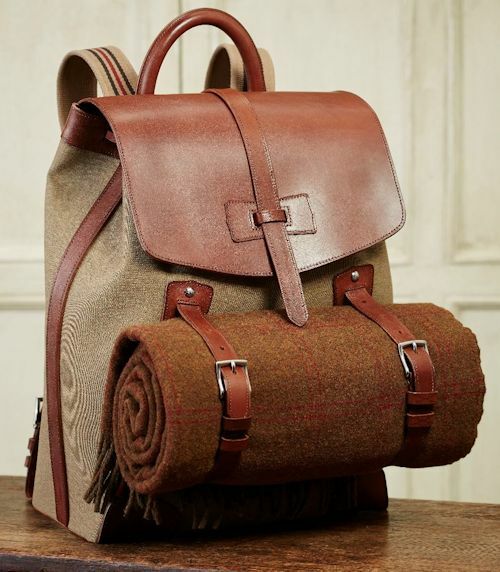 The Purdey backpack is designed to encourage wanderlustful ideas wherever you may head. 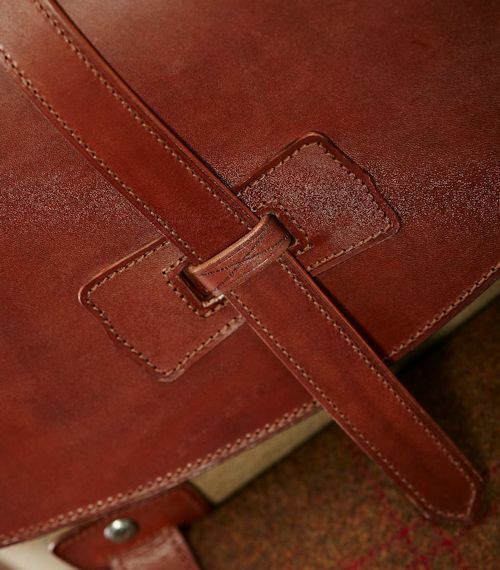 Made from oak bark tanned leather and heavy duty cotton canvas, the metal fittings are made by Purdey and polished to a coin finish. Inside, the bag has zipped pocket and a ring for keys. The straps hold a blanket in Purdey's house check in the top photo, but you could just as easily secure your coat there. 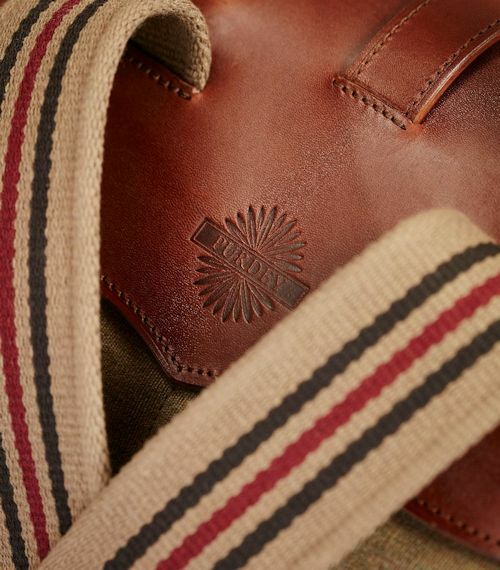 In Purdey's own words, the backpack is ideal for 'any form of adventure'. Once this delightful trekking device is hoisted on your shoulders, just point your hooter in the right direction and off you go. Be sure to drop your travel journal in the bag. We're almost half way through the year now. We discussed your not letting the past be about everything you failed to do at the start of the year, so I'm expecting more than doodles and shopping lists on those pages. And so is this bag.